Wolfgang Wagner is the head of the Department of Geodesy and Geoinformation at TU Wien. His research enabled him to work at the German Aerospace Agency, the NASA Goddard Space Flight Centre and the Joint Research Centre of the European Commission. 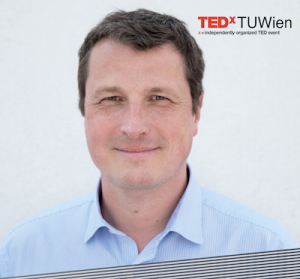 He is a co-founder and head of science of the Earth Observation Data Centre for Water Resources Monitoring (EODC) at the TU Wien. He always lived the culture of sharing knowledge and research data. In the end, this mindset contributed significantly to his success in Geoscience. His research focuses on the work with satellite data to study how the Earth is changing. This has led to several free and open data services.